The facility for submission of online applications was scheduled from 21-07-2018, could not be done, due to a major technical problem. 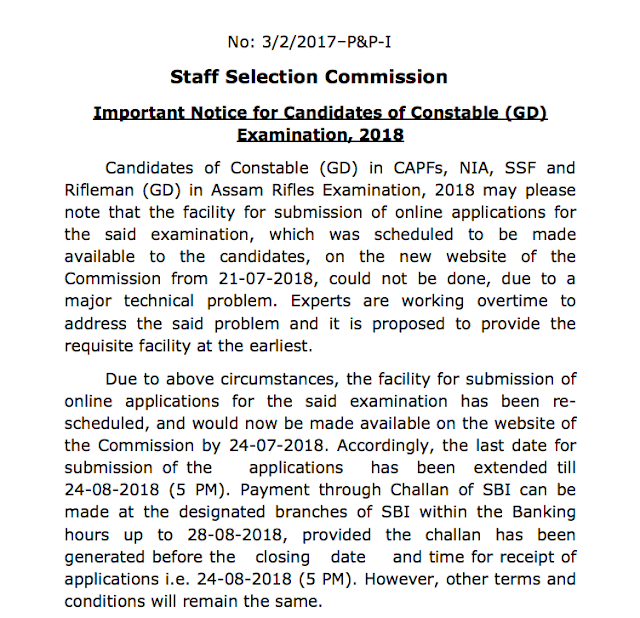 It is now rescheduled and would be made available on the website of the Commission by 24-07-2018. Accordingly, the last date for submission of the applications has been extended till 24-08-2018 (5 PM). Instructions for “One-Time Registration” and Online submission of applications can be downloaded from the link provided below.